These cute little dishes were designed for corn, but they will work great as a cracker tray. Need a longer dish to serve asparagus, celery and carrots? This is it! Constructed of earthenware. Microwave and Dishwasher Safe. Earthenware can become extremely hot when used in the microwave. Use of potholders or padded mitts is recommended. 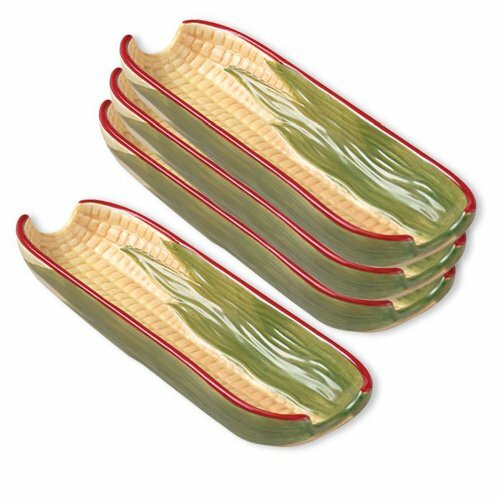 Set of four corn dishes, each 8-1/2 inch long x 3 inch wide. These cute little dishes were designed for corn, but they will work great as a cracker tray.